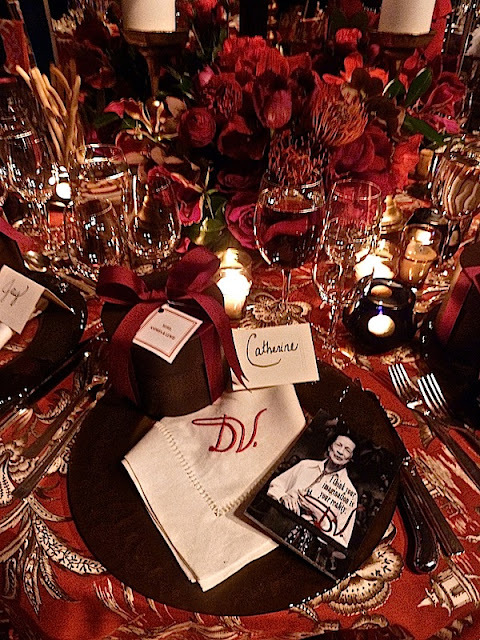 A few posts ago I showed you a sneak preview of our wonderful table at this year's Lenox Hill Spring Gala, which took place on April 3 at Cipriani 42nd Street in Manhattan. On that same post I also promised I would be back with some professional photographs of our finished table, designed by my talented daughter Sallie Giordano and our New York associates. Here are the good shots of our table. This year's theme was "High Society," so of course this is a table set up for people to enjoy an elegant evening out. Don't you love all the purple and the flowers? It is so chic. I just love the wonderful peacock centerpiece and the little purple goodie bags. 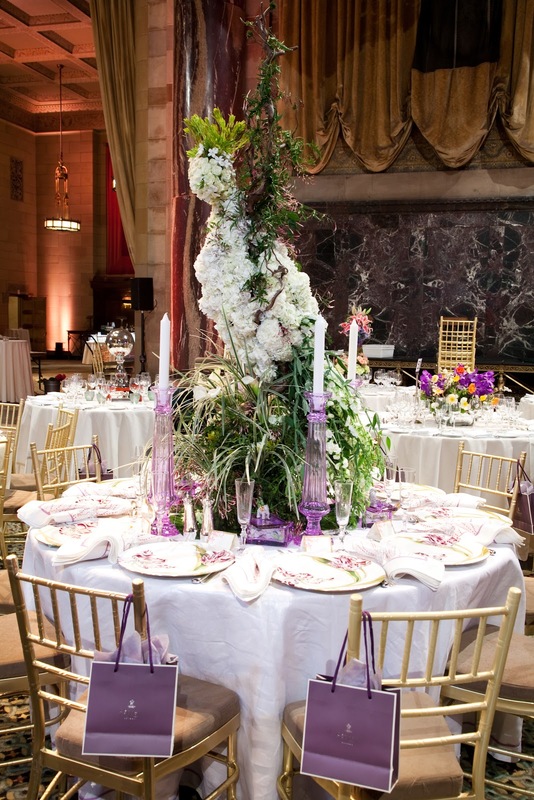 And what about the purple candlesticks? The whole thing is simply fabulous. Loved the simplicity of the fabulous Jon Call's picnic inspired table above. 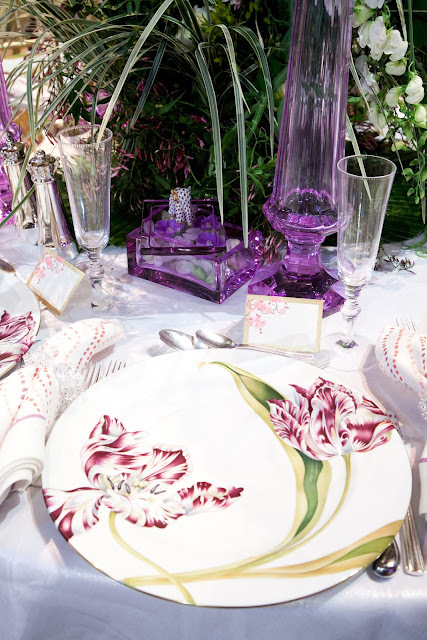 The brightly colored florals and fabrics look great against the striped tablecloth. The flowers are gorgeous. Next is the tribute to Diana Vreeland by Andrea Stark and Lewis Miller, which had a life-size die cut image of the editor and fashion icon watching over it. 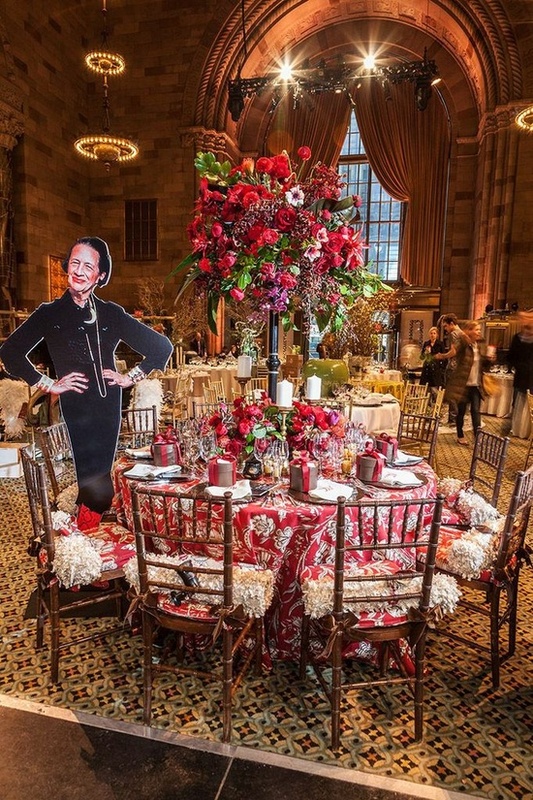 This table's design was inspired by Vreeland's iconic red apartment, and was covered in fabric by Stark and flowers by Lewis Miller Designs. 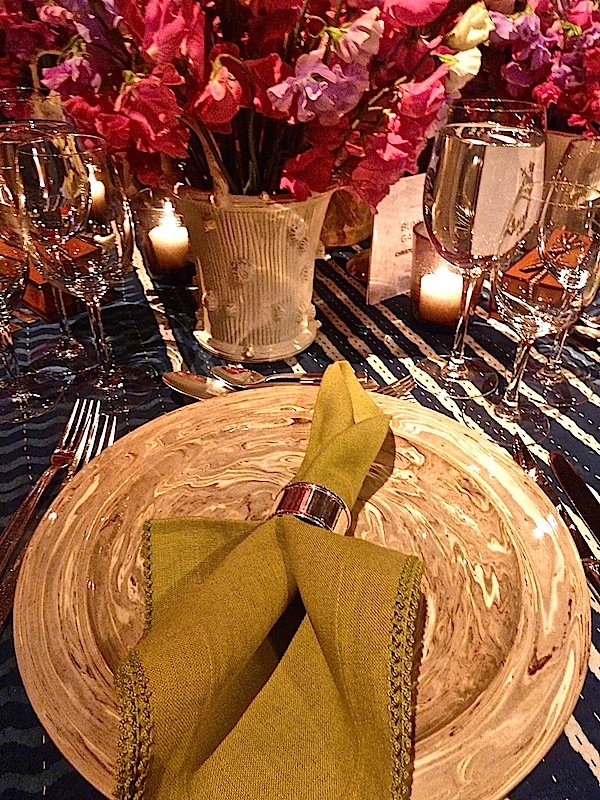 Another fabulous table is the one by ceramicist Christopher Spitzmiller who went all out and created these spectacular marbleized plates and faux bois cachcepots that Spitzmiller especially made for the event. 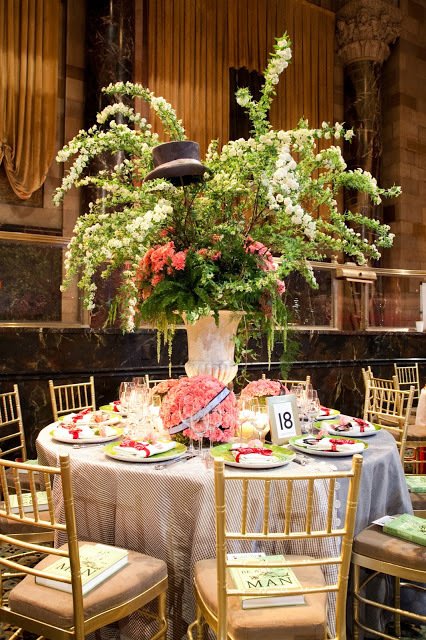 Named the Bunny Mellon Garden Table, this chic and elegant table was finished off by an extra tall topiary in the center, which is reminiscent of the society icon who was known for her beautiful gardens and the privacy they provided. Las but definitely not least is this fabulous table by Scalamandre, which you may or may not know, are some of my most favorite fabrics. 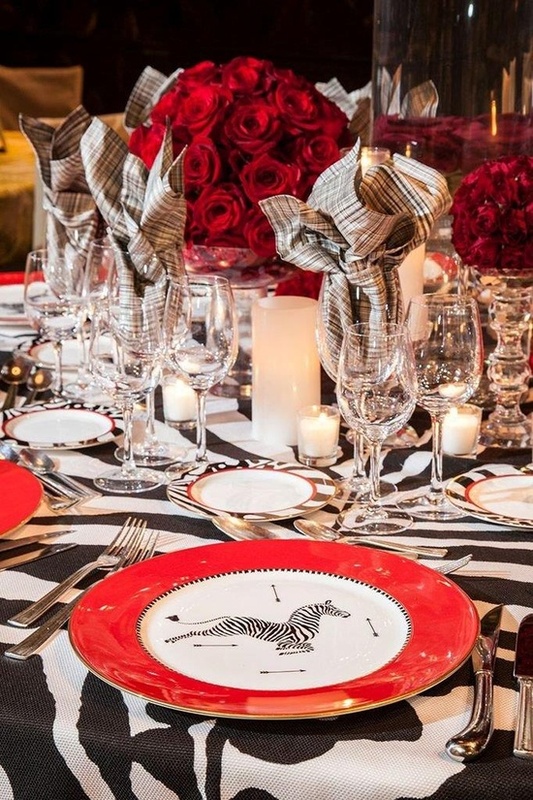 The red color of the plated and roses really brought to life the black and white theme, which would have been boring on its own. Since 1894, the Neighborhood House has served those in need who live, work or attend school on the East Side of Manhattan. It provides an extensive array of effective and integrated human services—social, educational, legal, health, housing, mental health, nutritional and fitness. 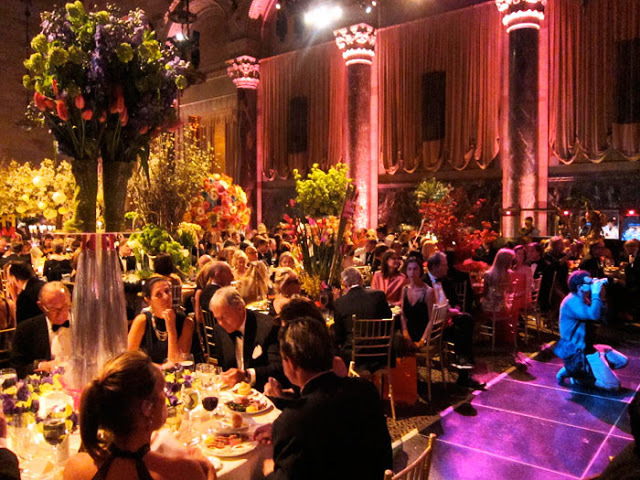 This year the Lenox Hill Gala was a big success and raised over 1.3 million dollars. You can still also donate to this great cause through their website. 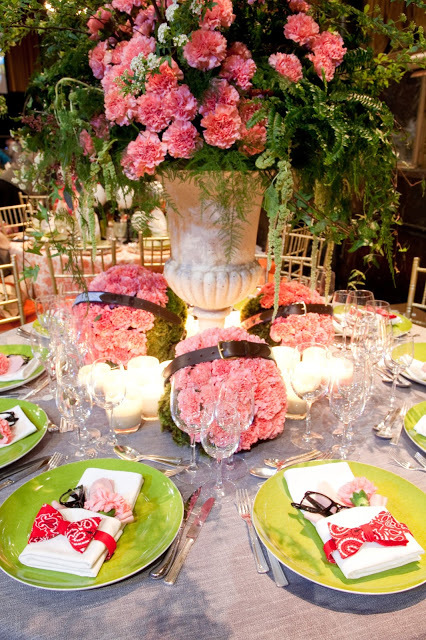 Hope you enjoyed these wonderful tables. Wondering what the theme will be for next year. Yours is the best! I once made a small topiary for the LHNA benefit, at the request of the late Sister Parish- it couldn't hold a candle to your magnificent and elegant table!